A man who paid a crack cocaine addict £1,000 to kill his wife has been jailed for life for her murder. 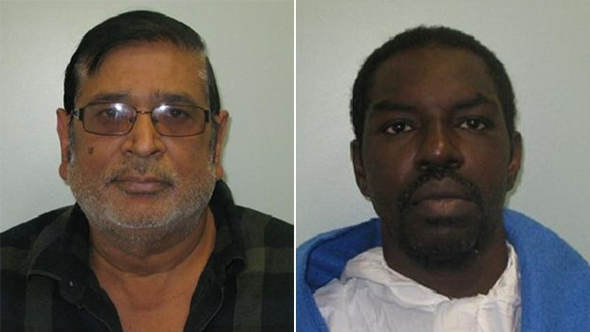 Mohamed Ali, 65, of Forest Gate, hired Frederick Best, 47, to kill his 43-year-old wife Amina Bibi. The mother of two was stabbed more than 70 times in her home in September 2013. She was found by her 11-year-old son. Woolwich Crown Court heard Ali must serve a minimum of 24 years. Best was also found guilty of murder and got a life term with a minimum of 30 years. Judge Richard Hone QC told Ali: "You planned this with incredible care. You lied to everyone, even your own sons. You have shown no real remorse." 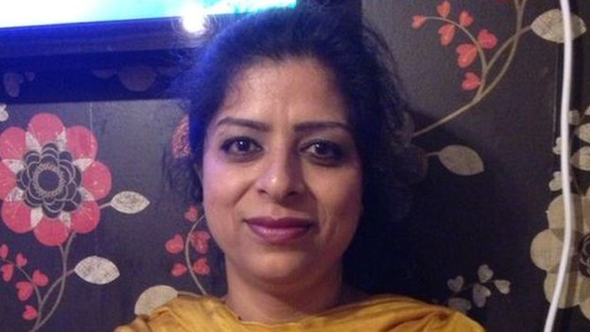 Ms Bibi was killed by Best in her ground floor flat in George Carver House, Station Road on 13 September last year. The killer, who was also from Forest Gate, was disturbed by the boy who had returned home from school after forgetting some of his books. He saw her body through the window and managed to raise the alarm with a neighbour who called the police. During the police investigation officers seized two of Ali's mobile phones. One phone contained family and friends' numbers and the other had phone numbers in Pakistan and a UK mobile number registered to Best, which was called frequently at the time of the murder, officers said. Police discovered Ali was having an affair with his wife's sister-in-law in Pakistan and was heavily in debt. In court, Ali denied the allegations of an affair. The two men were acquaintances from when Ali owned a shop in Forest Gate and he knew Best was a crack addict. According to police, Best had claimed he was hired to burgle the flat but on arrival found Ms Bibi lying on the floor covered in blood. Det Ch Insp Dave Whellams said: "This is a tragic case which has left two children without their mother and father and also the knowledge that one of their parents was responsible for the death of the other. "I only hope that over time the memory of it will fade in the minds of the children and that they will be able to overcome this tragic and brutal incident."